High-end condo building in downtown Chicago adds 11 luxury units to River North neighborhood. Gilbane is providing construction services for this high profile residential project in downtown Chicago. 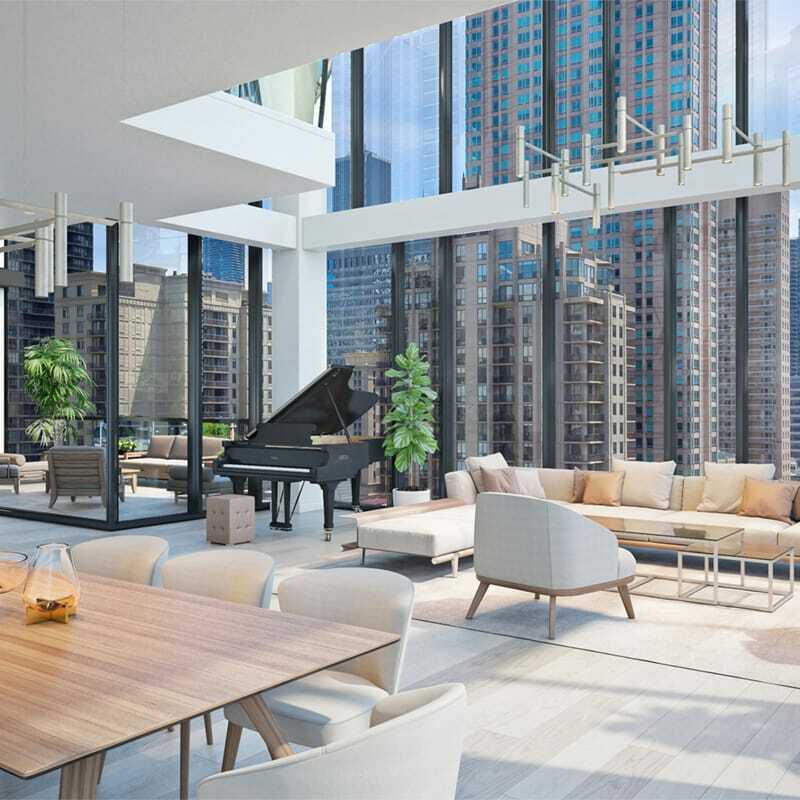 Located in the heart of River North, the new 13-story condominium will contain 11 units, consisting of 10 full-floor units and one duplex unit occupying the top two floors. In addition, all 11 units will have direct elevator access. Parking will be provided on grade, within the footprint of the tower. Construction began in the fourth quarter of 2017 after an intensive preconstruction effort and will conclude in November 2018. The caisson-supported structure is a combination of cast-in-place concrete for the cores, and structural steel with concrete-on-metal decking for the typical decks. The exterior is comprised of window wall and metal panels, while the interior includes high-end finishes. The logistically-challenging site requires the use of an adjacent vacant lot where most staging will occur, as well as the use of City-approved adjacent alleys.